In the Jan. 2019 newsletter, Pastor Erin shared about our new Building Vision Task Force. The session has asked a team of Oak Hill leaders to have conversations and dream up ideas for our church building. We have a number of maintenance issues and upgrades on our minds, but also, it’s a good time to dream of how we are and how we might best use this wonderful building for this season of Oak Hill ministry. 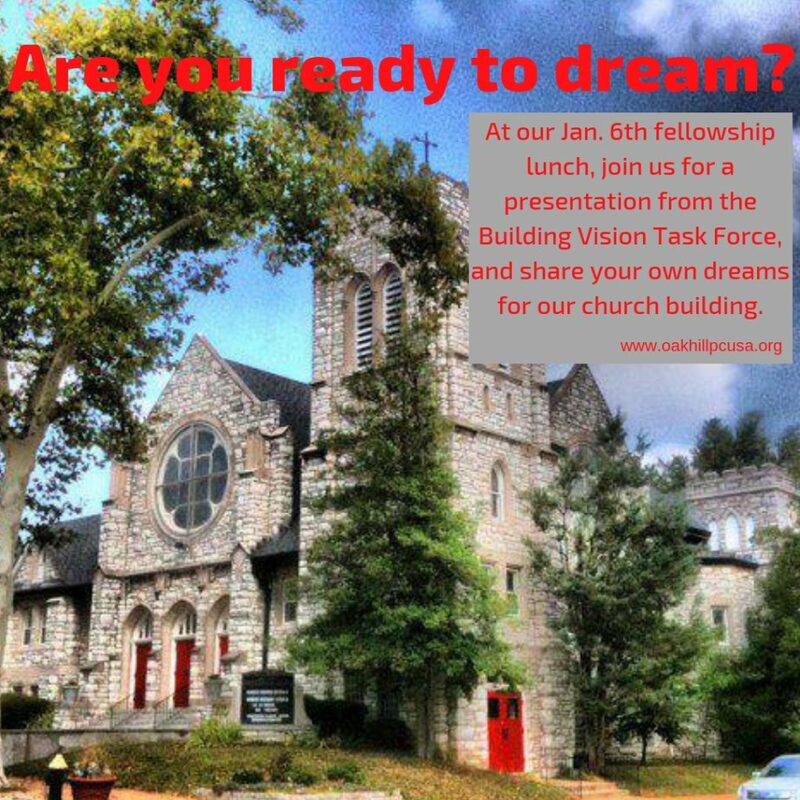 On Jan. 6th, at our regular fellowship lunch, the Building Vision Task Force will host the meal, share a presentation of where we are so far, and offer up time and space for conversation, brainstorming, and wild idea generating. It’s a time for the congregation to dream and wonder and pray and discern God’s call for our building. We’re excited to join together in this work! See you on Jan. 6th after worship!